I just bought the game. After installing it, i clicked on the google play logo in the game and tried to login into google play. The login process started but i was not able to login and recieved the error in the image. I'm no expert on Android foibles but the standard advice we give when someone that just installed the game has start-up problems is to have them delete then re-install the App. Please be sure to update your topic if that suggestion works to solve your problem. Same issue here, reinstalling Machinarium from Play Store didn't help. E/SignInIntentService(18845): Access Not Configured. 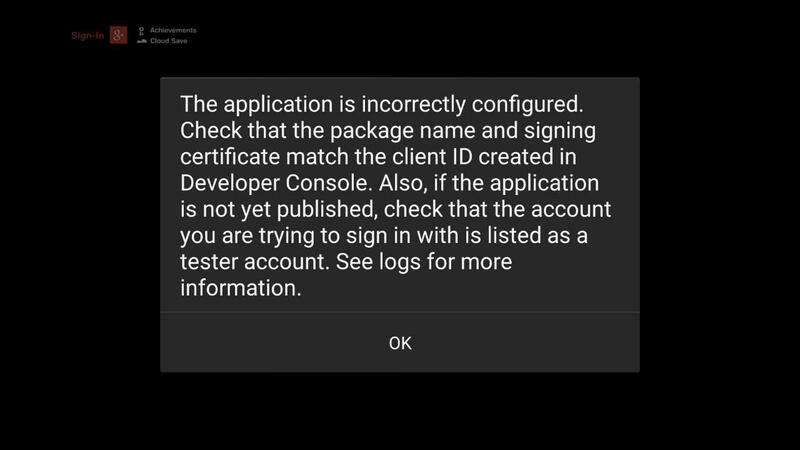 The API (Google Play Game Services API) is not enabled for your project. Please use the Google Developers Console to update your configuration. This is on Android 5.0.2, Google Play Services 6.5.99, Google Play Games 2.2.09. If Amanita devs need help diagnosing the issue, feel free to contact me - I am a software developer, and I know how to use adb shell. Thanks for your input and offer to assist, tetromino. You can contact Amanita Design support directly using the form you'll find in the About tab above. Please include the link to this thread in your message so A.D. support can directly respond here if they deem it necessary. Thanks for pointing me to the support form; I've sent the message. It looks like Android 5.0.x issue. I've had version 4.4 installed and everything was ok, and yesterday I've upgraded to 5.0 and now I have the same problem with Google Play. Thank you for the info misio! This thread has been duly stickied. I heard back from Amanita support. "there was a problem with Android 5.0.0 which is now fixed - you just need to update the system to 5.0.1 or newer."